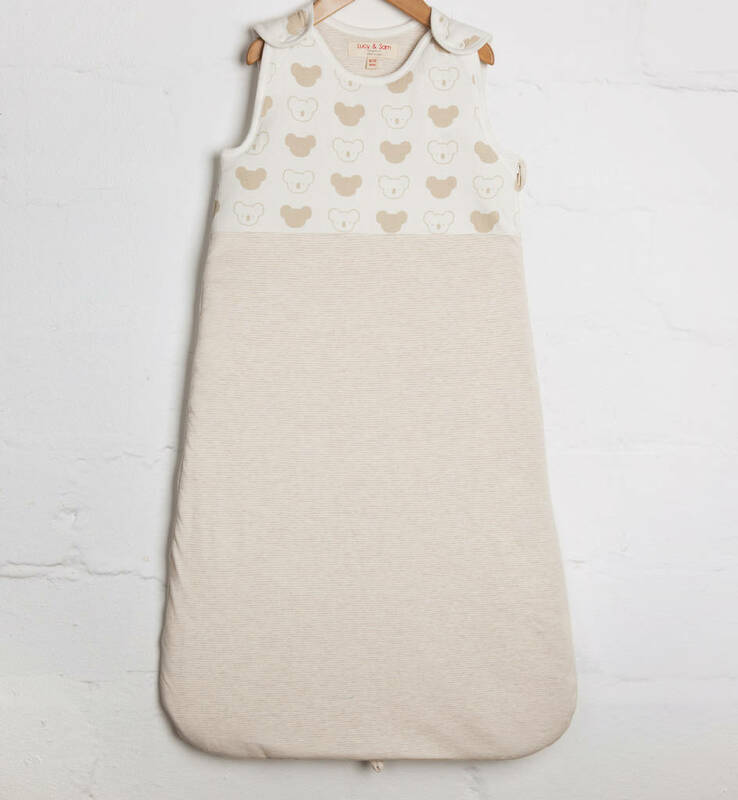 Koala Sleeping Bag, Organic baby in soft and neatral Unisex colours, is an ideal gift for any babyshower, new baby or first birthday gift. If the gift wrap option is selected your little items will be delivered in our beautiful natural card packaging to make the perfect gift for any bundle of joy! 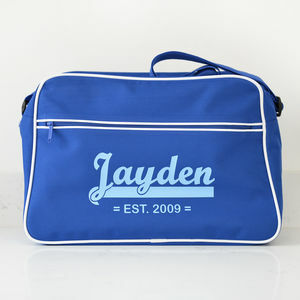 All of our cool little items are made using the the softest certified organic cotton which is grown without the use of chemical fertilisers or pesticides making it safer and softer on a childs skin. All of our products are manurfacturred in a small factory which follows the highest ethical standards and uses sustainable power and water recycling which helps the local environment. We hope that you will be happy with the knowledge that you will be buying ethically and sustainably and supporting small businesses. Our sleeping bags have a thermal rating of 2.5 tog and meet the British Safety regulations for Safety of Children’s sleep bags (BS 8510). 2.5 tog is ideal for bedroom temperatures of 15-21°C which make this sleeping bag suitable for all year round except for in the highest summer temperatures. This sleeping bag is designed to help baby have a safe and cosy night’s sleep. 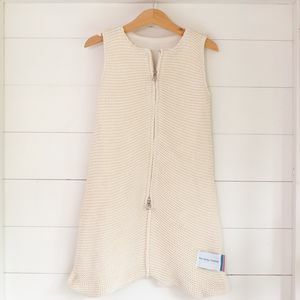 Made using the softest organic cotton it is ideal for preventing baby becoming uncovered or tangled in blankets and to keep our little ones snug and safe whilst sleeping. This item comes in our wonderfully soft gender neutral sandstone stripe body with the upper and reverse lining in a our cute koala print. 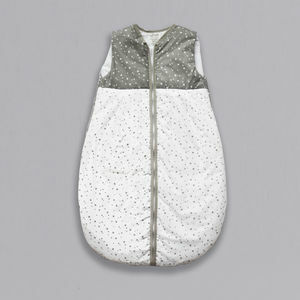 Our sleeping bags have two poppers on each shoulder, a zip guard and YKK zip leading from the left bottom arm hole to the base of the bag making it as easy as possible to get a tired sleepy baby in and out of.